Pretty Me Up! 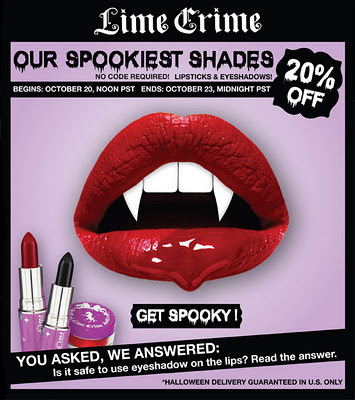 : Lime Crime 20% off Halloween Sale! Lime Crime 20% off Halloween Sale!